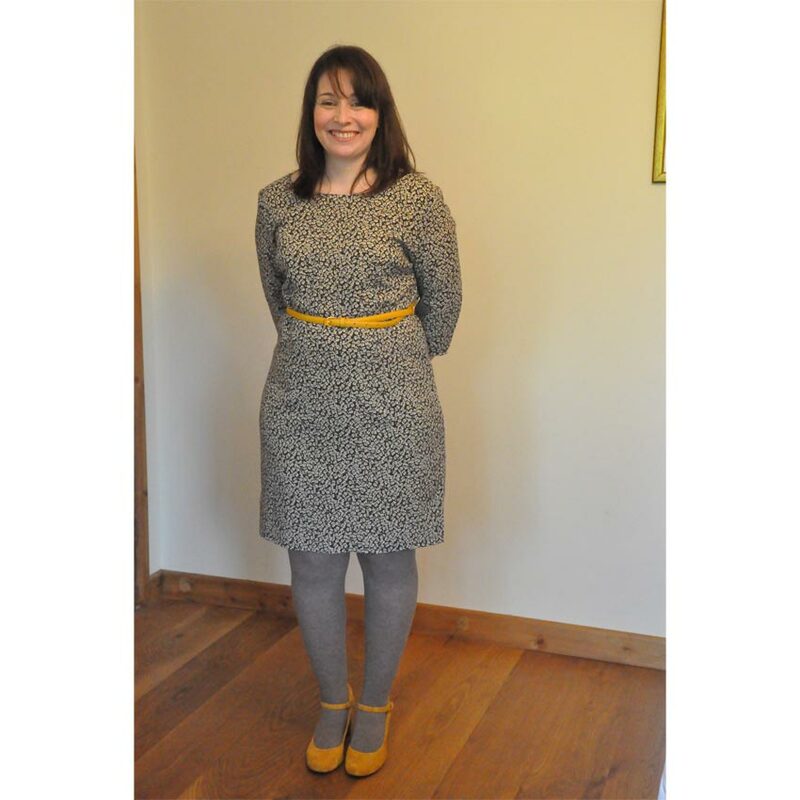 Pauline looking smart and fabulous in wool challis using the classic sleeved shift dress from McCall’s (2401). The dress is lined in Venezia. Belt, Shoes and Smile Pauline’s own.